Facebook reactions now allow you to give a certain emotion to a post, instead of only the basic like and dislike. You have multiple option to choose from to express yourself further including ‘like, love, sad, happy, shocked, and mad’. 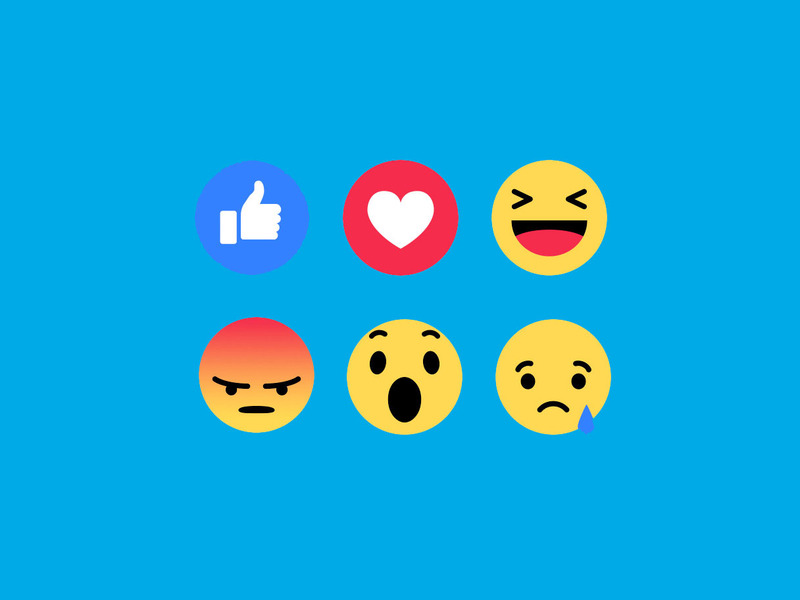 The Facebook reactions can be great for your business as a quick way for your clients to react to your posts in more detail, allowing expressions to let you see further into their emotions. Not only this but it makes for great interaction and engagement, ensuring that your target audience are directly engaging with your content and supplying valued feedback. When your audience sees you engage with other users, you can appear to be more approachable and give a personality to the company image - it also looks as though you enjoy interacting with your audience. This could encourage them to come to you for whatever service or product they are looking for instead of possibly your competitors. Not all users want to publically write comments and share their thoughts, so this gives them the option to express themselves in a more subtle way. This is fantastic for your business as it means you have included as many people as possible. Before the reactions there was the awkward middle ground of not knowing whether to ‘like’ or ‘dislike’ certain posts and scenarios. Now however, whatever you post gives everybody the ‘sad, shocked, funny and angry’ emotion, removing the sense of unknown we had previously. Now, some people can see Facebook reactions as a negative thing, however we feel this should not be the case. While there are negative reactions (sad, mad and shocked), it is not necessarily towards you as a company but simply reacting to the content, and how they feel about the subject matter. However, if you begin to notice that a large number of the reactions you are getting are one of those three, then you may find that your follower count will drop. This is because users typically want to see posts that make them feel happy (feel-good content). This will soon help you to realise which subject matter you are posting is getting the most positive attention, giving you the idea of what people want to see. To further this point, when sharing content from another page you can look up the reactions they already received. For example, if you wanted to share something but realised majority of the reactions were sad or angry it may not be the post that would be best shared with your audience as this will have a reflection on your business or organisation. One of the best things about the reactions is how quick they are for you to get the information you need. Not only is it quick, but also how easy it is to tally up the reactions by clicking on the post and looking at the top, where you are shown each reaction and how many people selected it. You can also go into your Facebook page/post analytics to get further insight into your engagement. The whole point is to help give you further insight into how your clients are feeling and help you go further as business alongside them in a quick and easy way. There are a few different ways you can use reactions as business to encourage interaction with your audience. The more you try to get your audience to engage with your page, the more valued they will feel as a customer. Encourage your audience to use them in a way of voting in competitions. Directly ask your followers to share their ‘emotion’ or opinion about the topic your posting about, this will encourage them to actually react, instead of just scrolling past. This will also cause interest to find out how others are feeling. Use them to get a reaction for your product or service. As you can now see, Facebook reactions are a great way for your audience to interact with your business and allow you to grow in a quick and easy way for everyone involved.